Buying and selling a property can be complicated. Conveyancing Supermarket have several resources to help you through your journey. From comparing conveyancing solicitors fees to advice on surveys needed. There is so much to consider. Here we help with choosing and dealing with estate agents; one of the first steps in the process. Obvious right? Ask friends, family and colleagues who have recently moved which estate agents they used and whether they were happy with them. Estate agents must be members of The Property Ombudsman or The Surveyors Ombudsman Scheme. You should be able to research this online. Members of these schemes will surely be advertising the fact on their websites. There is no harm in visiting your shortlisted estate agents as a potential buyer. (You might actually need to do this for real). You will more often than not get a feeling for their professionalism (or lack of) and a general sense of whether you would be happy doing business with them. Ask yourself would you be happy if the property they are showing you was yours? Would you feel confident buying a property from them? Ask at least three agents to carry out a valuation of your property. You might be surprised at the variation in price and the credentials they base this valuation on.Do not necessarily be impressed most by the agent that values your property the highest. It is not a guarantee this is the most realistic asking price. You need an agent who is going to offer a realistic valuation, not one who is going to overvalue your property putting off potential buyers. What Should I Ask A Potential Agent? 1.How much they charge for sole agency? Is there a tie-in period? Sole agency means just one agent has the exclusive right to sell your property for a set period of time. If it is sold by another agent in this time you will still have to pay the sole agent their fee, as well as the agent who actually sold it. In general, sole agency fees can range between 1% and 2% of the sale price. A tie-in period is usually up to eight weeks. Cost of multi-agency fees? A multi-agency arrangement means several agents will market your property. The successful agency is paid the fee upon sale of the house. This fee will be in the region of 1.5% to 2.5% of the sale price. Sole agency is obviously cheaper, but there are less people marketing your house. Multi-agency is more expensive, but your property will get more exposure. You can start out with a sole agency, moving to multi-agency at the end of the tie-in period if you prefer. Or you can go straight in with multi-agency. 2. How long have they been selling this area? What is their experience? A well-established agent who knows your area really well is preferable. They will be able to advise potential buyers on the area and give them confidence in their knowledge. Will your house appear in the local paper? Do they advertise on Rightmove, Zoopla etc? 4. Who will conduct viewings? Will the estate carry out all viewings? Discuss the most convenient days and times. See if you need to be there or not. As our daily life becomes ever more online so do services that we need and use. Online estate agents have become quite common. Using an online agent to sell your home can save you hundreds or thousands of pounds. But selling your home is a risky business and involves the probably the biggest financial transaction you will ever make. Whether you are looking at PurpleBricks, eMoov, Tepilo, HouseSimple or YOPA, you’ll need to know what to watch for. Online estate agents are often cheaper than conventional high street estate agents. They vary in terms of what packages and prices they offer. Fees for online estate agents vary, but can start as low as a £300. This might be a flat rate fee paid upfront. Other pricing plans vary, and most offer payment on completion, but that can cost more. If you want an agent to conduct viewings, this can cost extra. High street agents typically charge around 1.5% of the sale price, or a pre-agreed fixed fee. For example, even on a 1.5% commission you will pay £4,500 if you sell your home for £300,000. This is a huge amount compared to online agents where packages range from about £300 to £1000. 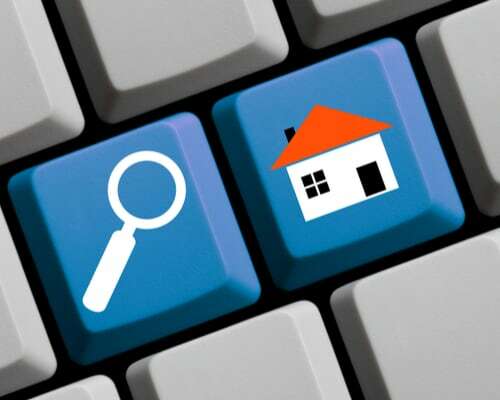 Online estate agents will advertise online on websites like Zoopla, Rightmove, Primelocation. Some will also use national newspapers. If you do choose online estate agent, always get a few local estate agents to value your home first. This will give you an idea of a reasonable asking price. Check fees are not conditional on you using the agent’s in-house services such as their recommended mortgage broker or conveyancer. This can happen before you know it. But they can not insist on it. Go away and compare conveyancing solicitors yourself. Our database of UK conveyancing solicitors is the place to start. Check the package includes everything you would expect. They all offer different deals. Ask to see the contract if there is one. 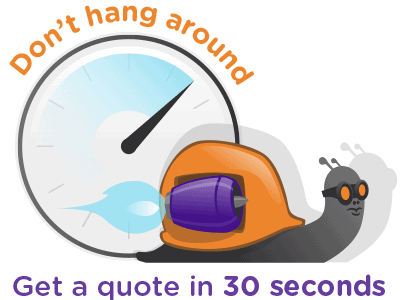 Check the tie-in period and other contract terms. Find out how they assess potential buyers. How do they suss out time wasters or what position of their own sale a potential buyer is at. Hybrid agents are companies such as PurpleBricks who operate online but also offer services of local property experts who can do things like conducting viewings on your behalf. This gives the company that personal touch but it also makes their packages more expensive than other online agents. are these local experts qualified estate agents? What are the additional costs involved in these viewings? Finally… Can I Sell My Home Myself? There is no law to say you have to hire an estate agent. It is possible to sell your home yourself. There are more and more websites around these days to enable you to market and sell your property yourself. Please note though: these websites CANNOT market your house on the big property portals, so no Rightmore, Zoopla, Yopa etc. Exposure to potential buyers will be limited because of this. If you can sell you home successfully, for the right price, with no hassle, you will save a lot of money. However, not getting the best price for your home can cost far, far more than paying an agent. You should also importantly note that you can’t list yourself directly on Zoopla, Rightmove and OntheMarket. They do NOT take private listings. If you want to be featured on these portals you will need an estate agent, whether it be online, hybrid or high street. To maximise exposure of your home to possible buyers it is advisable to employ the use of these platforms. Conveyancing Supermarket are a leading source of information for all aspects of moving home. We are proud to dispel myths and provide invaluable advice to our customers, making your journey easier and reducing stress. Our online calculators enable you to quickly source and get a quote for conveyancing fees and stamp duty payments.